On Friday I went with a friend to the Malvern Patchwork & Quilting show. 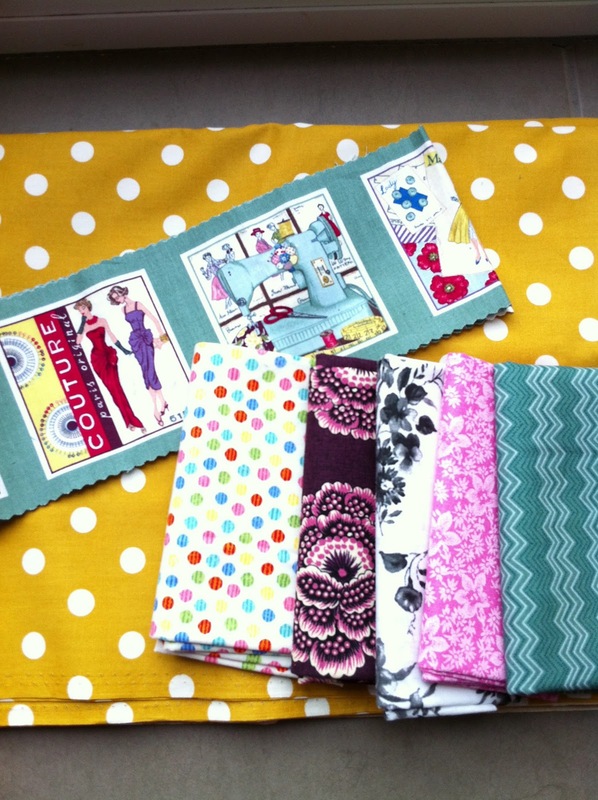 Given our recent move and my fairly new interest in quilting (I still consider myself a newbie after 18mths!) this was my first ever visit to such a dedicated event: I even managed to negotiate a child-free morning with Mr f&f so that I could go. It was like my perfect day! There were lots of stalls and I did buy a few things treat myself to a few little purchases, not with any particular plan in mind but you know, just because…..
….I even splashed out on a backing for my William Morris quilt, the mustard with white spots: I love the combination and at £4 a metre, it seemed rude not to!!!!! 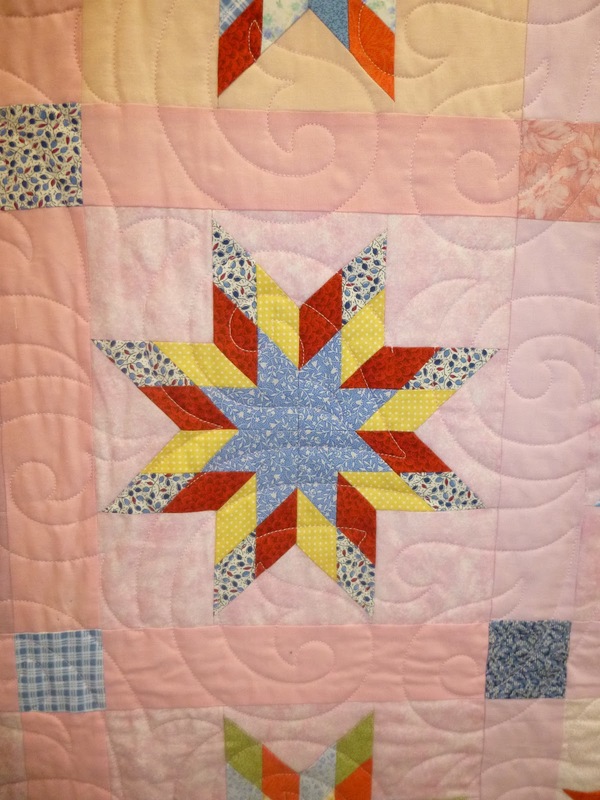 I really liked this star quilt. It had been started by a mum, using scraps left over from dressmaking and crafting, and then eventually finished by her daughter. Some of the stars were scrappy, others more co-ordinated, and the overall effect was just glorious. I think it would make a really nice on-the-move project. This medallion-style quilt was really eye-catching and what was really clever about it was that on closer inspection the central panel & co-ordinating border panels were a patterned fabric which had been embellished with machine stitching, really changing the texture of the quilt. I actually thought they were seed beads to start with! This quilt has truly blown me away, the colours, the scale, the detail. Everything about it just seems perfect to me. Although I’m not sure if I’d ever have the patience to make one for myself. I really enjoyed seeing all the quilts, there were lots of different styles and I’ve even started deliberating if maybe one day I might enter a quilt into a show but I think I’ve got a way to go yet! I’m already looking forward to going again next year! Todays sky – overcast and miserable. Boo! Mini Quilt swap and catching up! Next Post Finally, an Aeroplane bag!!! Glad you enjoyed the show. The hexie quilt is beautiful. Can't believe the hexies are so small. 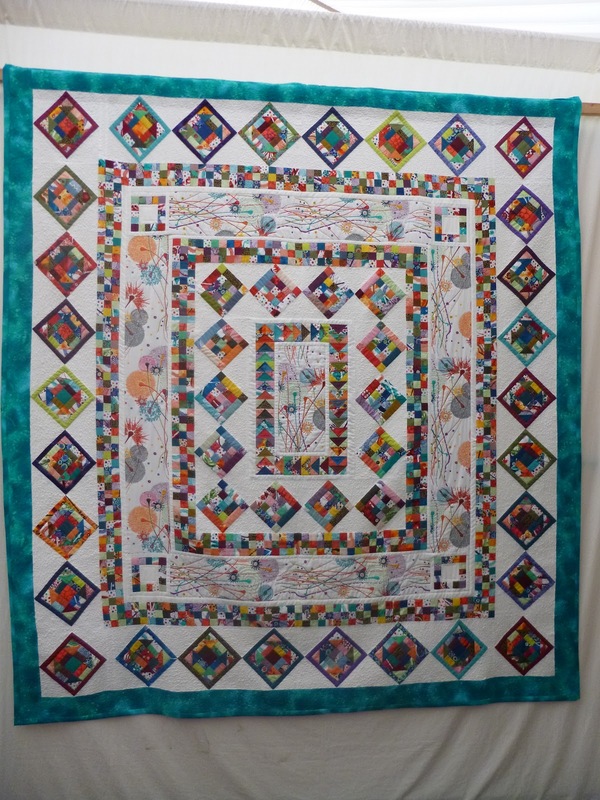 Have you thought of going to The Festival of Quilts in August at the NEC Birmingham. Is worth a visit. The hexagon quilt is amazing! At the risk of sounding a bit thick, is each individual hexagon 1/4 inch wide? It must have taken literally hundreds of hours to make. I am in complete awe of the maker!